With Easter fast approaching, the cheese makers at the High Weald Dairy are busy making and packing cheese. After Christmas, it’s one of our busiest times of the year as people get together to mark the occasion and share a meal. 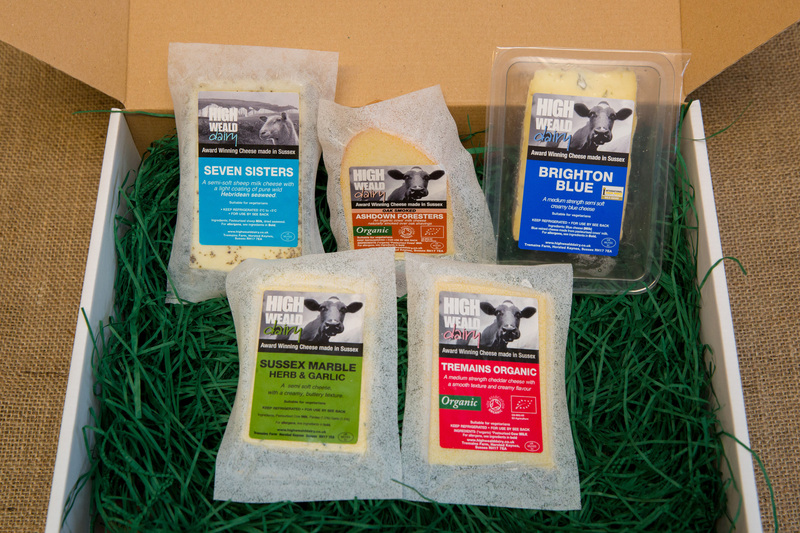 Much of the cheese we make is destined for farm shops, delicatessens and the cheese boards of restaurants near our base in Sussex but we also make and sell a range of cheese selection boxes which are available directly from the dairy and make great alternative Easter presents. Supermarkets and shops are packed to the rafters with chocolate eggs and sweet treats at this time of year so something savoury can be a welcome alternative – and just as decadent. If you’ve been invited to spend Easter with friends or family, contributing a cheese selection to finish the meal can be a thoughtful touch and is an Easter gift that can be shared by all the family. And if you’re doing the cooking, how about choosing your own selection of British cheeses from the High Weald Dairy to round off a special lunch? If you can’t make it to see friends and family this Easter, you can even order a cheese selection box online for delivery to a friend or family member’s home in the same way you would a bouquet of flowers. Our cheese selection boxes are available throughout the year and are a great gift for foodies and cheese lovers, whatever the occasion so whether you are looking for something different for Mother’s Day, an alternative birthday gift or a token of thanks, they are well worth considering. 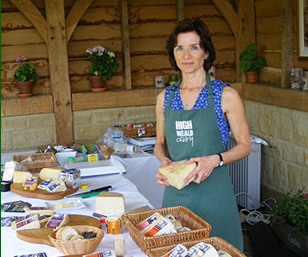 If it’s a big occasion or you are looking for an extra special gift, you might like to consider a voucher for our one-day Cheese Making Course. It makes a great gift experience for food lovers giving them the opportunity to come and spend the day at the dairy with a delicious homemade lunch included. They will go home armed with a new skill and more than 1kg of cheese they have made themselves. We have several different cheese selections available including an Alternative Selection, featuring only sheep and goat milk cheeses, a Mellow Selection with some of our milder cheeses and a Sussex Selection which celebrates the area in which our cheese is made. We also introduce seasonal selections at different times of the year and can pack a special hamper of cheese to order according to your preferences. High Weald Dairy sheep, cow and goat milk cheeses are made and packaged from start to finish at our dairy in Horsted Keynes, West Sussex using milk sourced as locally as possible. We are proud of our eco-credentials and pack our cheese selections in cardboard presentation boxes with recycled packing materials made from shredded paper so, aside from being delicious, they are sustainable and environmentally-friendly too. Our range of selection boxes and vouchers are all available to order online although, if you live locally, you can avoid the delivery charge by popping in to see us at the High Weald Dairy office at Tremains Farm to buy your cheese. We also sell a slate cheese board and Horsham Sussex Thins biscuits which complement our cheeses and often have Ouse Valley Chutneys available from the office too.